"The Jimm Juree series is off to at least as good a start as the Dr. Siri one was. It has the potential to be even better." --Janet Maslin, "The New York Times" "Excellent ... Cotterill ... combines a wry narrative voice with an appealing picture of a world unfamiliar to most Americans." --"Publishers Weekly" (Starred Review) "An ebullient series kickoff." 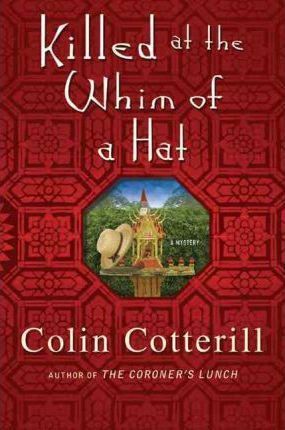 --"Kirkus Reviews""" "Cotterill's fiction has been compared to Alexander McCall Smith's, presumably because it also has a colourful location. It is far more complex and perceptive." --"The Independent""" "A procession of memorable local characters.... By coming up with an original and entertaining new formula, this author reaffirms his creativity and versatility." Born in London, COLIN COTTERILL has worked as teacher in Israel, Australia, the U.S. and Japan before he started training teachers in Thailand. Cotterill and his wife live in a small fishing village on the Gulf of Siam in Southern Thailand. He's won the Dilys and a CWA Dagger, and has been a finalist for several other awards.